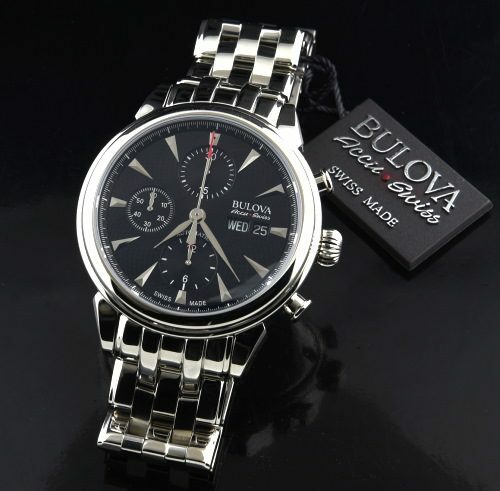 This is a newer BULOVA ACCU SWISS chronograph complete, like new with box and papers. The case measures 42mm. The black dial is elegant, yet both sporty and dressy. 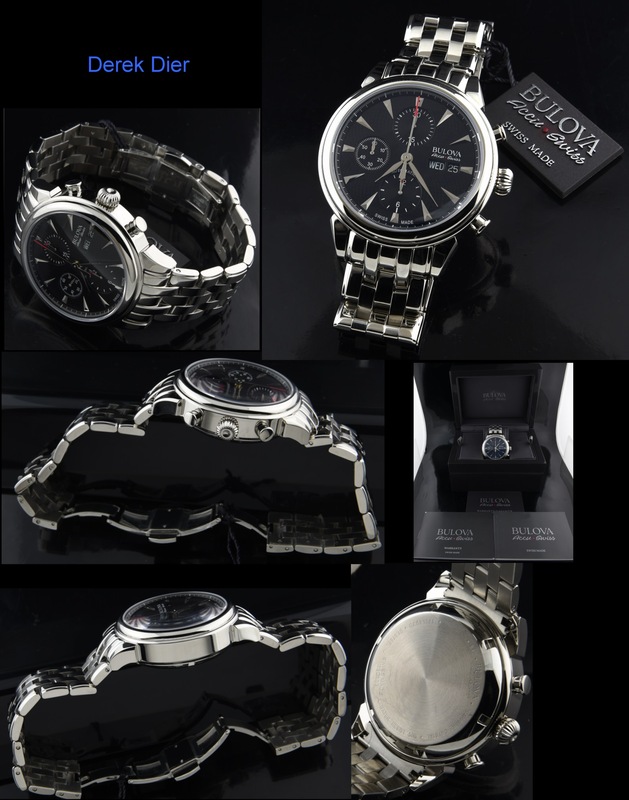 The automatic winding and highly reliable Valjoux 7750 mechanical movement by BULOVA is accurate. This watch is less than two years old. Great value at only $995.